Sensi Skunk is a large, thick, full-bodied cannabis hybrid that is fast flowering with deep green, broad fan leaves and a high calyx-to-leaf ratio that makes for easy clipping. 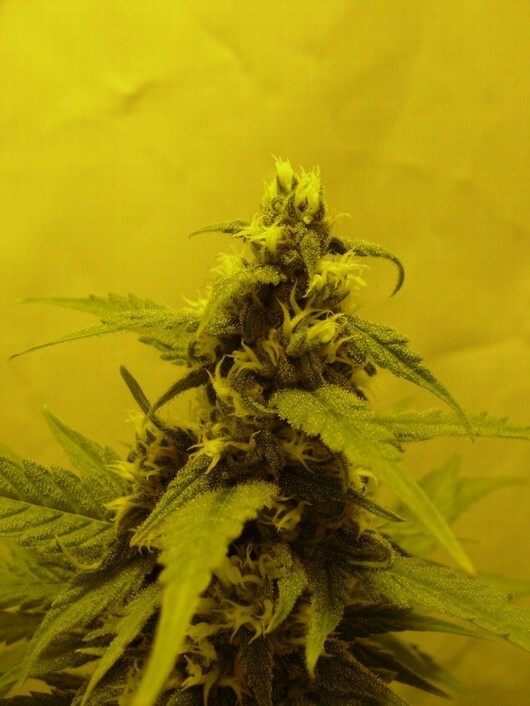 It is a highly resinous strain with very compact buds with that typical skunk taste and smell. It is easy to grow indoors or in the greenhouse with a typical Indica structure great for the S.O.G. method producing large yields of delicious, thick nuggets that have a deeply relaxing body centered stone.